It's been over a month now since we've reduced the amount of stuff in our house. Amazingly, it's still tidy around here despite both of us going back to our regular work schedules (and then some! ), continuing Canine Circus School, and resuming exercise routines after the nasty colds both of us caught in January. Less stuff equals less stuff to clean and a place for everything. For our place, we can whip it into "company is coming!" shape in 15 minutes. Because I knew that getting rid of stuff would create a vacuum that would pull us to buy more things, I decided that we shouldn't buy anything non-work related for a month so the house could equilibriate. The pull to buy things is huge right now, although it is diminishing as the month wears on. What do I want? A cast iron pan made in Portland that has milled cooking surface, stackable Japanese dishes that are uber modern and spendy, stainless steel chain mail for cleaning cast iron skillets and woks, a new fish spatula that's all metal, and a number of other kitchen things that I can't decide on. The boy is no help. He already cheated and bought gear to go crab catching ("it's for food!"). My urge to buy things was diminished when a Kickstarter campaign I joined months ago delivered the goods. 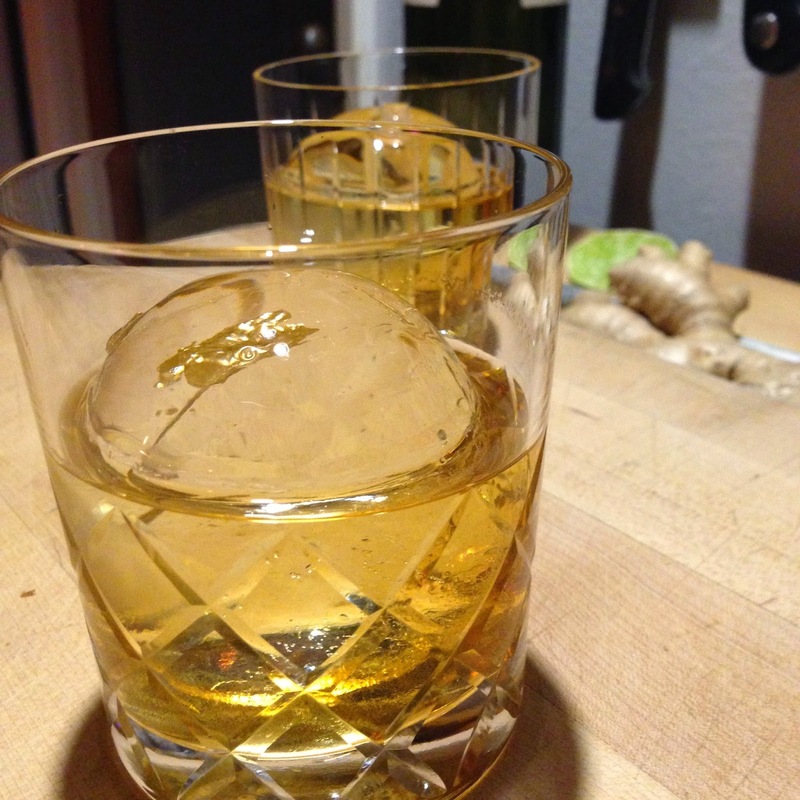 I bought an ice cube maker, both spherical and cube, that makes crystal clear ice. Sure, I was called out for wanting hipster ice, but it's so pretty! This time of year makes me restless, so I immersed myself in some kitchen experiments. The first was ginger beer using a ginger bug (the starter for the ginger beer). The verdict is still out on this one because I'm impatient and I drank 3 of the 6 bottles of beer I made already - they had little to no carbonation. I think I need to tweak my ginger beer recipe some more. The second kitchen experiment turned out slightly better, although unsightly. After reading about Chad Robertson in Michael Pollan's book Cooked and trying bread that my friend made using Robertson's Tartine Bread, I wanted to start baking bread again, this time using Robertson's recipe. With a dough hydration at a whopping 80%, it was the stickiest dough! It was so sticky that there was no need for a stand mixer since you stretch and fold the dough in the bowl while it's proofing. This dough required babysitting, especially since the recipe was fussy and I was unaccustomed to working with such a wet dough. Maybe if I surfed and meditated like Robertson I'd be more zen about the dough, but as the boy can attest, I was swearing up a storm whenever I had to interact with it. 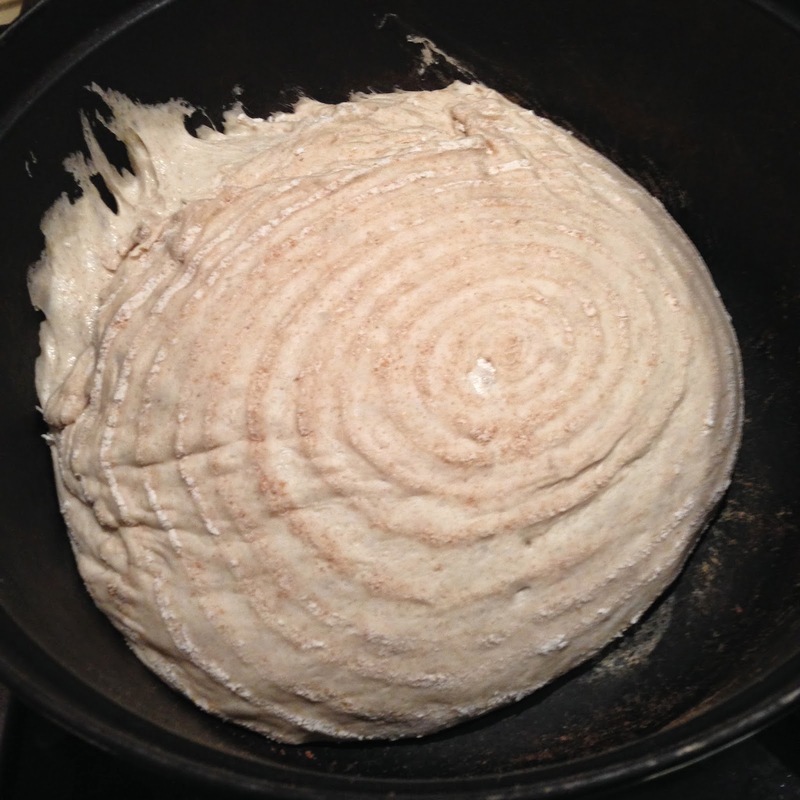 I was especially irritated when it was time to put the dough into the glowing hot Dutch oven. As you can see, it wasn't a clean release. I think it was when the dough plopped into the oven that I declare I was going to feed all of the bread to the dogs. Am I a little stressed right now? Perhaps, perhaps. The boy intervened and insisted we let ugly loaves cool down and taste a piece before chucking it into the garbage (at this point, I thought that not even the dogs should eat it). My, what an open crumb structure! It was delicious: slightly tangy (just enough to make it interesting, but not puckery), chewy, but not dense texture with a crackly crust. If I looked at the bread slice by slice, it was beautiful. When toasted, it was even better! 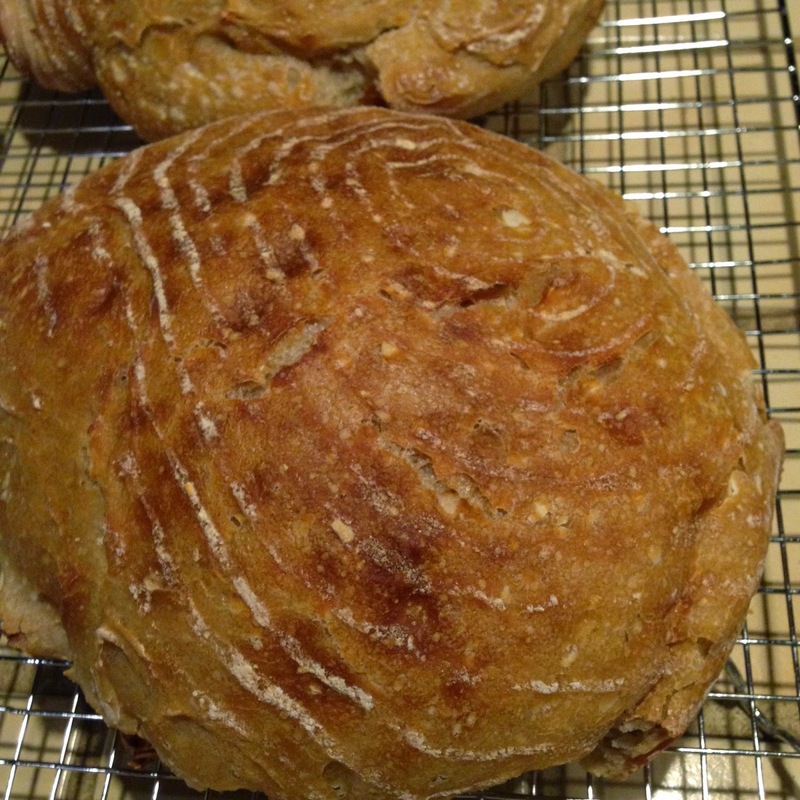 This week, I'm attempting the bread recipe again, but this time only making 1 loaf. And to prepare myself, I'll do yoga beforehand. Maybe that's the trick.